PLEASE NOTE - Saturday practise is until 13:00 only. 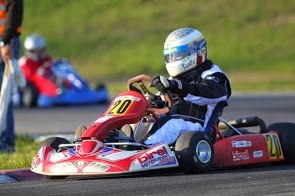 Later you will be entertained by "Kart Endurance Race" event 13:00-19:00. Track is open for Friday practise. Where could I find Open125Junior and Honda160 technical regulations? Organiser said - the main requirement is defined in SUPPLEMENTARY REGULATION (just min.age and weight, with or without gearbox). As it is "Cup" level race, and the quantity of participants in each category (Junior/Senior) is not known - it is rules are very open (even 100cc allowed for Open125). Nobody will be excluded. Please follow the SUPPLEMENTARY REGULATION for all classes. Organiser said - the main requirement is defined in SUPPLEMENTARY REGULATION (just min.age and weight, no gearbox). As it is "Cup" level race, and the quantity of participants in each category (Junior/Senior) is not known - it is rules are very open (even 100cc allowed for Open125). Nobody will be excluded. Please follow the SUPPLEMENTARY REGULATION for all classes.